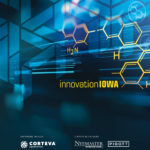 The Iowa Governor’s STEM Advisory Council has awarded seed funding through the Iowa STEM Innovation Fund to four programs to aid scaling efforts across the state. This year’s awardees were selected out of a pool of 20 applications. Awardees are the Iowa Conservation Education Coalition; the Iowa Tech Chicks; St. Theresa Catholic School; and the University of Iowa Department of Computer Science.